On the occasion of the first plenary meeting under Swiss chairmanship of the International Holocaust Remembrance Alliance on 26th June in Geneva, students from Geneva and Bienne present the outcome of their work. They worked for many months to translate the Memoirs of the Holocaust survivors who live in Switzerland. 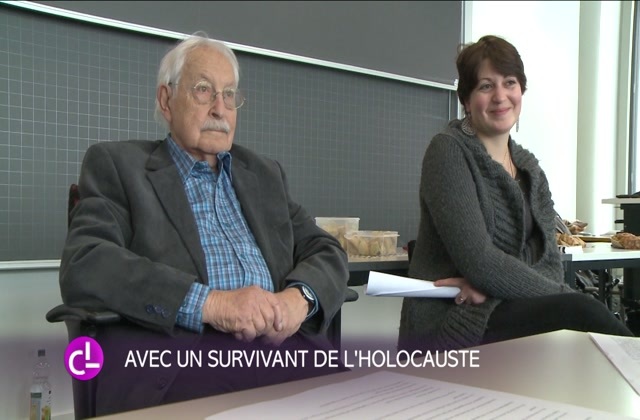 For 20 years now, school classes in the German and French-speaking part of Switzerland have met with Holocaust survivors and have listened to them recounting the horrors they suffered. In 2016 and 2017, students from Geneva and Bienne translated a number of the Memoirs of the survivors – originally published by the Kontaktstelle für Holocaust Überlebende in der Schweiz – into French. These translations also created an opportunity for dialogue between survivors and students. All fifteen volumes of these Memoirs were published in German between 2008 and 2014 with the support of the FDFA. The memoirs were then presented to the President of the Swiss Confederation on 27th January 2015. Within the context of the Swiss chairmanship of the IHRA, French-speaking classes were encouraged to study these testimonies and to translate them into another national language. The French version of the 15 volumes will be published by November 2017. The already published volumes can be downloaded on the homepage of the FDFA.